The sunny coastline of Montpellier and more generally the coastline of the Hérault Departement, is worth the trip especially in summer. You have to understand there is a lot of beaches near Montpellier. Each of them are more or less different in term of attractiveness, urbanization, cleanliness of the water, cleanliness of the sand, attractions and so on. You can consider some 20 minutes’ drive from Montpellier to reach the closest beaches: Palavas-les-Flots, le Petit travers, le Grand Travers, Carnon-Plage, La Grande Motte. On an average, the temperature of the water along the coast of the Hérault Department is somewhere between 10°C and 15°C in Winter, between 13°C and 19°C in Spring and between 21°C and 26°C in Summer. 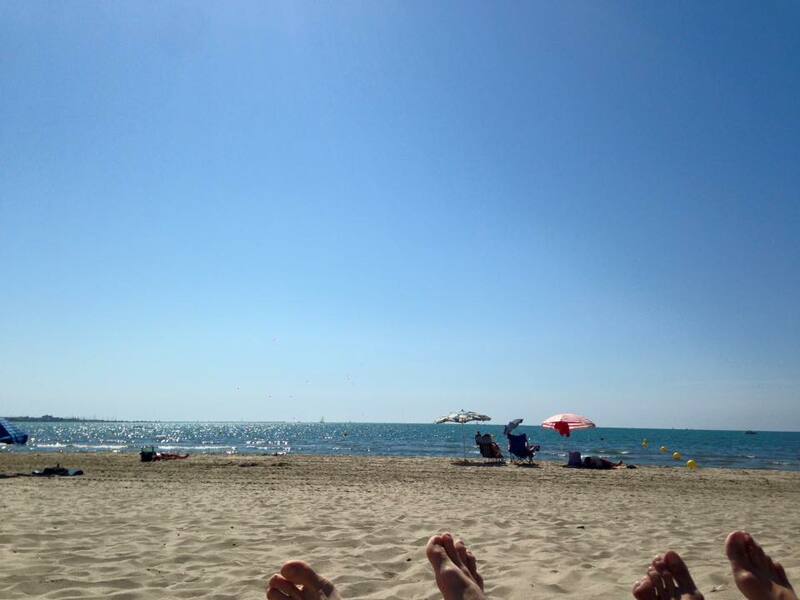 If you want to avoid the crowd and you like space and peaceful beach, then you will avoid going to Palavas-les-Flots, Carnon-Plage and La Grande-Motte especially at the peak season (from June to the end of August). However, you may consider the month of September as a great deal, because this is the month when there is less tourists on the littoral, the prices are dropping down and the temperature of the air is just perfect, somewhere around 27°C the day time. The littoral also offer several great spots for a walk or a jogging. However, keep in mind that in Winter and in Spring season the temperature can drop at times, so keep some warmer clothes handy. The littoral is only 15km from Montpellier, so a great option if you like bicycling is also to reach the nearest beach which is Carnon, by bicycle following the bicycle track named “le chemin des sables”. This Track is about 10km long and you can reach it by following the Southern part of the Lez River, then the track will lead you to the beginning of Carnon. Easily reachable from Montpellier this 7km beach goes from Carnon to the East to Villeneuve-lès-Maguelone to the West. It is quite crowed during the touristic season and the sunny weekends along the year. The quality of the sand and the water is good, the Town of Palavas-les-Flots is part of the circle of the French Office of the Federation for Education and the Environment, its beach got the “Blue Flag” (Pavillon Bleu) which is a sign of quality in terms of environmental and tourist management. The other thing to notice is the urban set up made of apartments and cheap restaurants all along the beach. If you go to the left bank of Palavas-les-Flots, you can find a place for beach soccer and a beach volley. The beach of Palavas-les-Flots is also a beach-break surf spot, so it is perfect for the beginners, with decent waves that can become quite powerful in winter. The other good thing at Le Grand Travers is that you can park your car easily since you have wide parking all along the road that follow the beach. Well, except in the high season, especially mid August where it can be a real headache to find a place to park your car. Due to it very long size, that goes from Carnon to La Grande-Motte, the beach is also excellent for walking or jogging, all along the year, especially early morning and in the evening. La Grande-Motte is a port and a seaside resort that were built up in the mid 1970’s. It is well-known for its modern architecture inspired from pre-Columbian pyramids. This is definitely a great spot if you want to have a walk along the beach in winter and it is also quite fun and pleasant to have a walk inside the town due to the urban design, the several green spots and the cleanliness of the streets. Regarding the beach, nothing fancy about the sand or the water and with some two millions French and Foreign tourists every year it become quite a crowded spot in Summer. 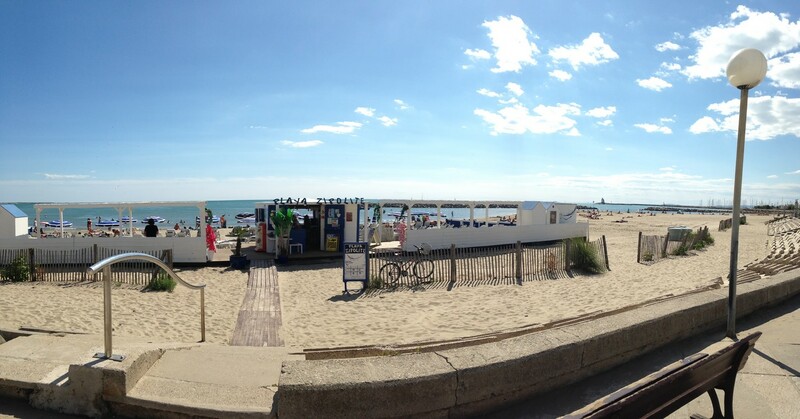 Between May and the end of August you can also find some beach volley fields and several attractions for children all along the year such as trampolines etc… If you have time, I suggest you to go furthermore in the Gard Departement and reach the beautiful town of Le Grau-du-Roi for a walk or a swim. Le Grau-du-Roi is a little bit of an outsider in this selection because it is located in the department of Gard. 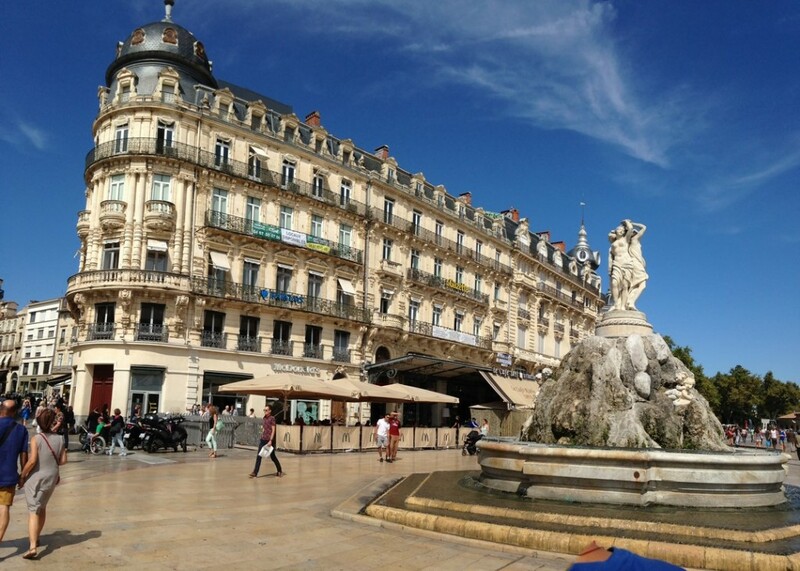 This seaside town is a favorite spot for people living in the city of Nîmes, Uzès or Alès. 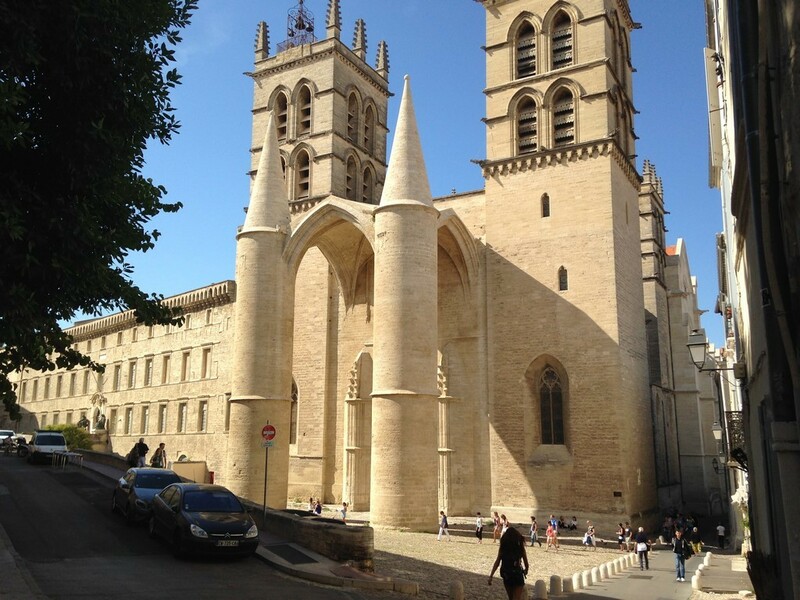 This picturesque old town and port is quite charming and it requires just some 30 minutes’ drive to reach from Montpellier. Same as la Grande-Motte, le Grau-du-Roi is an outstanding spot for a walk all along the year except in Summer if you want to avoid the crowd. Regarding the beach no need to search around just go straight ahead to the Boucanet. The sand and the water is clean and the beach is not over crowded except in mid August. Between May and the end of August you can also find a beach volley field. If you go furthermore into the Gard Department, after Le Grau-du-Roi you will reach the clean, large and beautiful beach of l’Espigette. 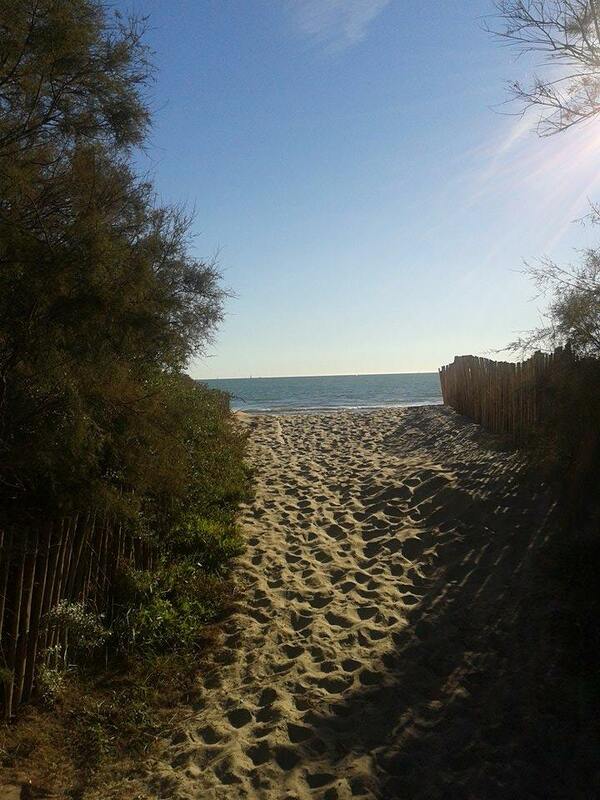 Located 4km from Palavas, this is probably one of the best beach nearby Montpellier. Far from the urbanization, the beach of Maguelone is not an overcrowded spot. With a clean water and sand, the beach is 9km long so there is enough space for you to lay down in peace. If you want to go for a walk or to eat something, do not hesitate to go to Villenueve-Lès-Maguelone. The town is picturesque and it is full of great restaurants. Located between the sea and the Lagoon of Thau (Étang de Thau) The picturesque town and port of Sète are something to visit at least once if you are in Montpellier. Technically Sète is an island with its very own cuisine (Tielles, Seiche à la sétoise etc…) traditions (tournoi de joutes etc…) and even dialect. It is also the hometown of the well-known French singer Georges Brassens https://en.wikipedia.org/wiki/Georges_Brassens. Regarding the beaches, they are about 12km long. They start from La promenade de la Corniche, located 2km from the center of the town and where you can find a public parking lot. From there you could easily reach the beach of La Corniche. In Summer, the Northern area of La Corniche is quite crowded and it features several night clubs and restaurants right into the beach. This large beach offers a good view over Sète and is a good spot if you like the crowd and need some kind of cool entertainments after a long sunbath or swimming evening. 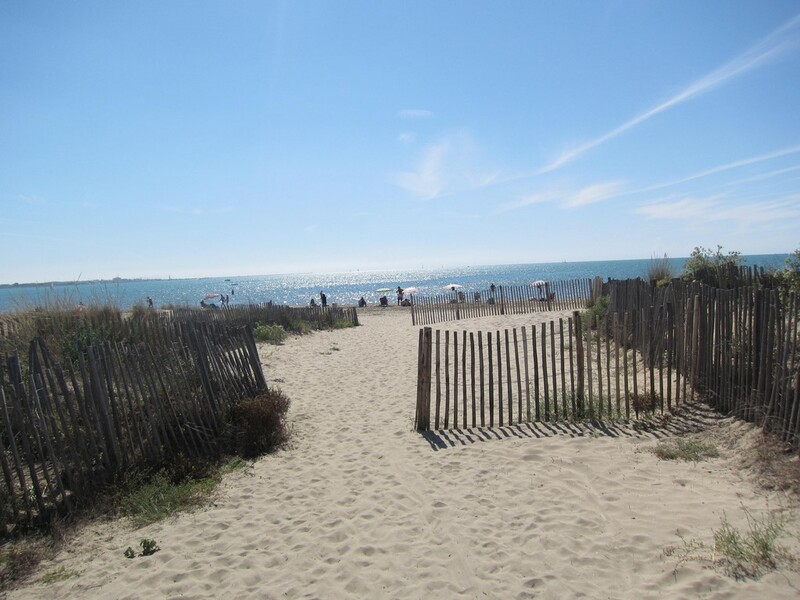 If you want to get away from the crowd and need just fine sand, space, or a beach with a more urban set up, you can go furthermore along the beach, following the road in direction of Cap D’agde to reach the Southern area of La Corniche. You can also go to the plage des Quilles or plage de la Fontaine, located after the canal, along the Boulevard Jean Monnet. These small beaches protected from the wind offer a parking lot a long promenade and several restaurants and bars. If you like the kite surf you will also find several good spot on the side of the Etang de Thau. The beaches of the villages of Balaruc, Bouzigues or Mèze are also an option if you are looking for a peaceful spot or when the sea is getting rough on the Mediterranean side.